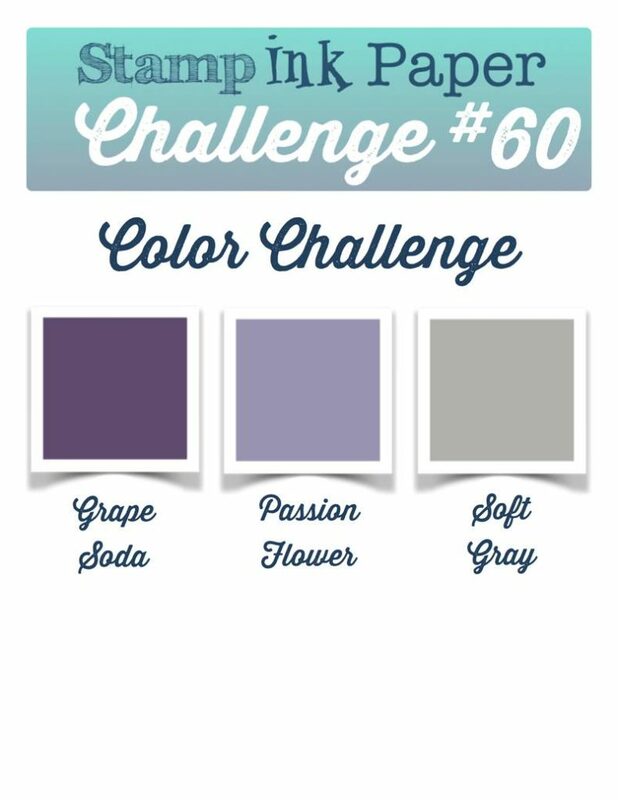 SIP Challenge 60 – Colors from Andrea! Home / Blog / SIP Challenge 60 – Colors from Andrea! Why are Monday’s always the toughest day to get through?! It was another perfect day here weather wise, still no AC in the car so I hope that the weather holds up! I got in the new release from Concord & 9th at the Stamp, Ink, Paper Store and had to make something with it right away! Love all of the new goodies in this one and it’s their 1st Birthday too! Taylor came by the store for a little visit and she and I walked over to Kmart. I got chocolate, because I needed that! LOL! After work I had dinner and then played around with the August My Monthly Hero Kit! Love this kit and I think that there are still some available! I’ll have some projects using it later in the week! Today I have to make sure and get a little ahead with my crafting, I have to go and pick up Mr. Ken Oliver from the airport on Wednesday! Looking forward to seeing him again! He is teaching classes for Renee at the store Wednesday evening and Thursday! Fun, fun, fun! 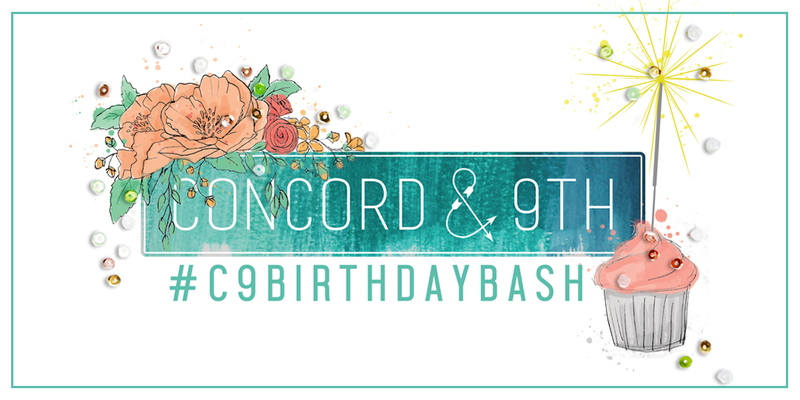 This entry was posted in Blog, Cards, Concord & 9th, Crafts, Embellishments, Embossing, Hero Arts, Photopolymer, Pretty Pink Posh, Sakura Koi Watercolors, Stamps, Watercolor and tagged Birthday, Card Making, Concord & 9th, Crafts, Hero Arts, SIP Challenge. Bookmark the permalink. Given the colors for this challenge I never, ever would have thought birthday cake! LOL I guess I’m not an “Out-of-the-Box” thinker but you managed to pull it off. If I were a betting person and the challenge was to make a birthday cake would these colors, I would have lost! LOL You, my artistic thinking friend, did one fantastic job with this! Hi Nancy -hope all is well in your corner of the world. LOL! Thank you! I just thought about the flowers and then saw that gorgeous cake! Glad that you like the cake and the card! Wow! 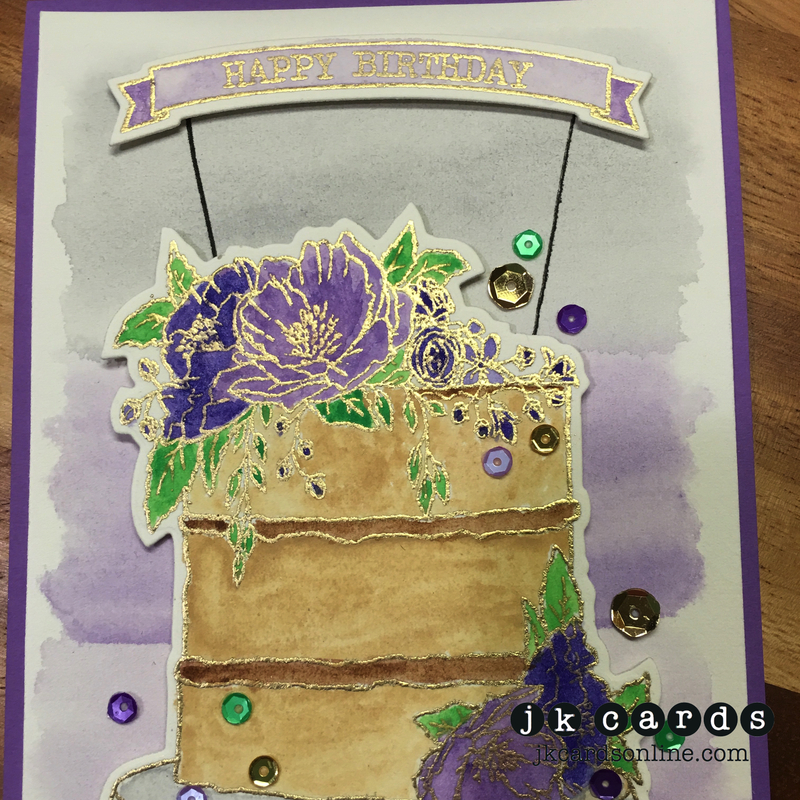 Justin, I love this card with the gold embossing and the purples. So beautiful. I think the hotter temps are coming back, I hope you get the AC in your car fixed soon. Of course men are lucky that they don’t have to worry about the wind messing up their hairdo like women do, but the windows down can be uncomfortable if it is really warm. Take care. Have a great day! Hello! I agree, the GOLD is GLITZ with watercolor…..Lovely, lovely color and design combo! I adore that stamp, it is ON MY MUST have list! TY for sharing and putting it even higher on my list now! Gorgeous! 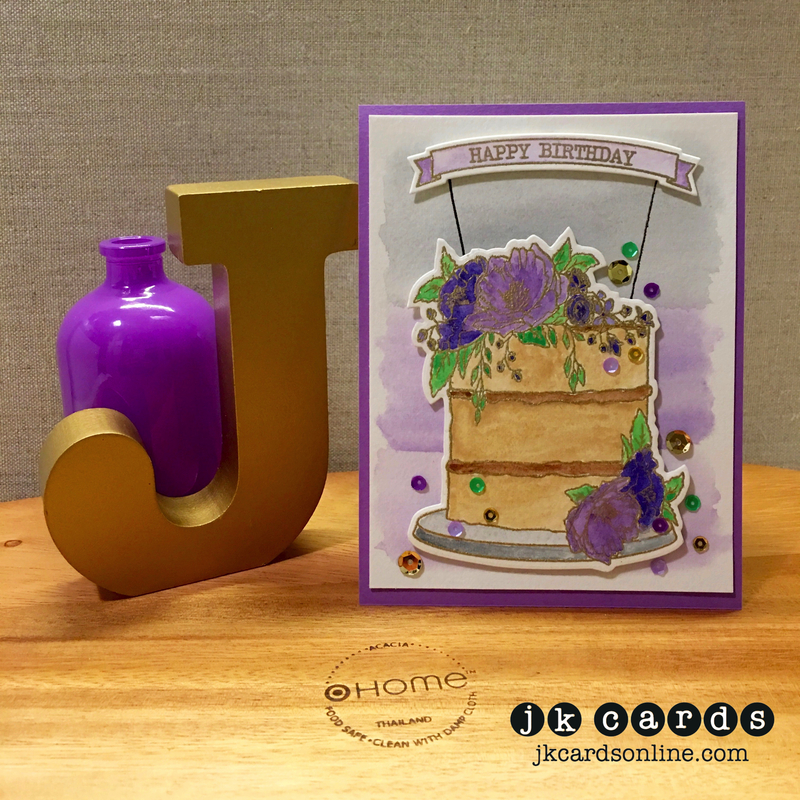 That cake looks stunning in so many color combinations… But I really love these purples! Wowzers!